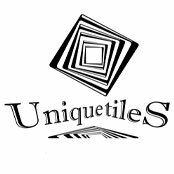 Here at Unique Tiles, we deal with customer requests for picture tiles on a daily basis. From the weird to the wonderful, we have come to understand the amount of care customers take when deciding what their home looks like. We also have learnt to appreciate the uniqueness and individuality of everyone we service, and there is nothing anymore that surprised us. Since we opened back in 2011 we have dealt with hundreds of requests for picture tiles. Although they’re all individual designs, we have found a few factors with each customer that are similar. For example, we found that a lot of people need help with matching colour schemes and choosing the perfect size to make sure the image looks just right. So we have created a short and simple guide to help you decide on your next picture tile design, hopefully we can inspire you too! Whether you’d want a small ‘over the fireplace’ piece or the floor of your swimming pool, the size of the design matters a lot. Some images, especially ones with a lot of detail and colour, work better as larger pieces. This is simply because for the detail to be seen, there needs to be space to fit it. On the other hand, a less detailed design with simpler colours might work better as a small piece. Some images may also start looking out of proportion if they are done too large. So keep that in mind when deciding your picture tile design; ask yourself how much detail is there? How many colours? Colour also looks different depending on what type of tile you want. Glass tiles work beautifully with watercolours, whereas ceramic is your best option for bold designs and high-resolution pictures. Tiles colour can evoke emotion and is a great way to let people know your style and even your personality. Warmer colours such as daffodil yellow, or baby blue could work better if you’re the goal is to have a warm and cosy design. Speaking of colour, a colour scheme is a lot more complicated than it sounds. On the outside it’s as simple as matching a blue with a blue or deciding on three primary colours that dominate your living space. To us at Unique Tiles however, we look into things deeper. For example, we see a big difference between warm colours and cold colours. On the other hand, pale greys and washed out or dark greens could be used if you want to go for something more sophisticated or colder. You also should keep in mind that dark colours such as black will make a living space look smaller. The polar opposite, white, will create an illusion of more space than is available. So if your kitchen is small and cosy, washed out colours work better than deep bold colours. If you want a large room to look cosier, opt for darker and deeper tones to create a calming and chic vibe. Take for example, tiles around an oven in a kitchen. One large image wouldn’t make sense as half of it would be covered by your oven, and no one wants half an owl or half a forest, do they? In such cases, we’d recommend to go for a personalised collage of images to go around existing items. Simply take your idea of what theme you would like and work around all the keywords that fit the theme. Before you know, you’ll have a design that integrates perfectly into your home. This may be something a lot of people don’t think about and understandably so. 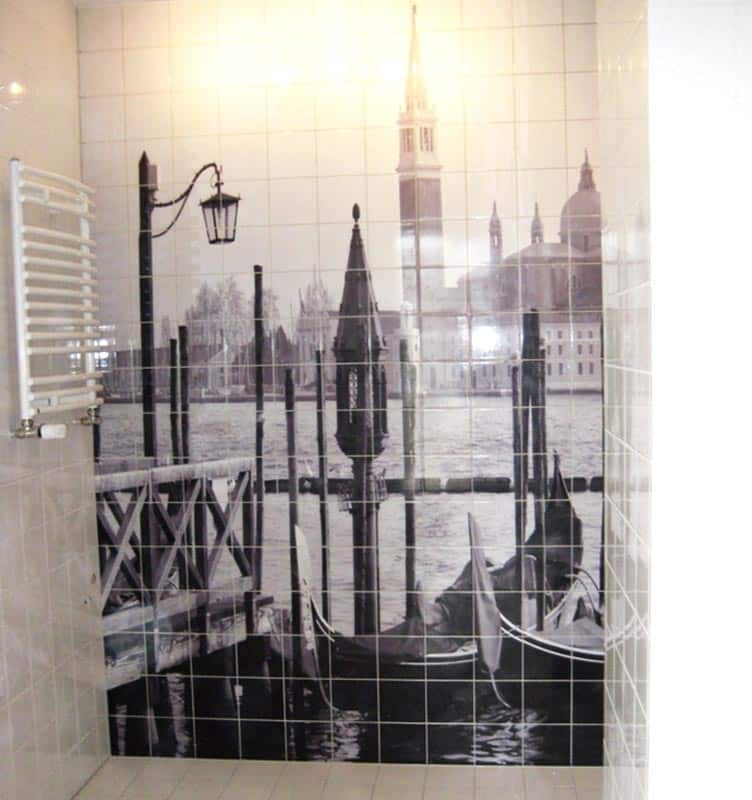 Picture tiles can make great additions to bathrooms wall or kitchens splashback but there might be some sides of the argument which might put people off. Consider the fact that tiles are a lot more permanent than a picture that’s hung up. If you’re someone who likes to change their décor a lot, picture tiles may not be right for you. They’re pretty permanent and will be expensive to take off and fix the surface underneath. 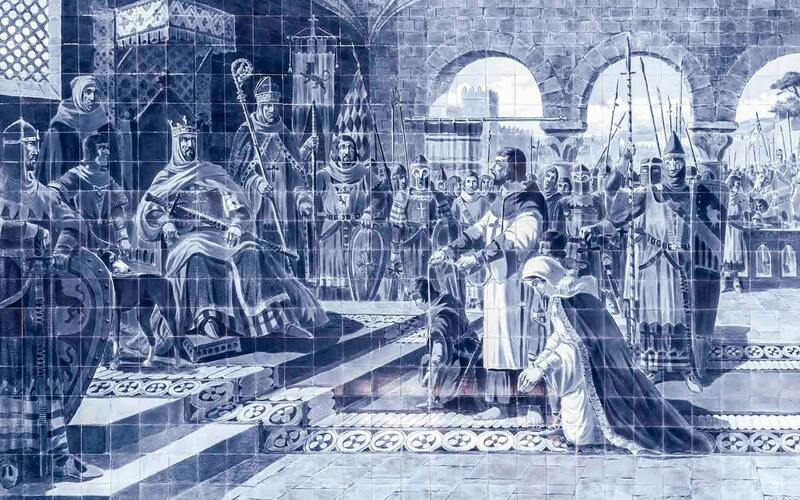 As any professional will tell you, some images you might have in mind simply don’t look that good on tiles. Another material might be a better choice for you. Remember that the tiles will have some small breaks between each one and if that’s something that might ruin your image, then a different material might work better. We hope this post will help you make your mind up about what picture tile designs to go for and where to put them. At Unique Tiles, we have worked in many homes where the result of picture tile designs has always been beautifully thought out and made the customer very happy with the end result. We always strive to put you in control and make your vision come to life. So if picture tiles are your vibe, why not contact us today. We would love to hear your ideas and brainstorm with you. You’d be surprised we’re quite the creative bunch! There’s always an expert on hand at Unique Tiles that can give you a free consultation and an estimated price so there are no hidden charges for your bespoke tiles. Call today or fill out the online form!